Kate Davis and Andy Bartlett became the first people to stand up paddle board the entire length of the Danube River from source to sea in 2016. 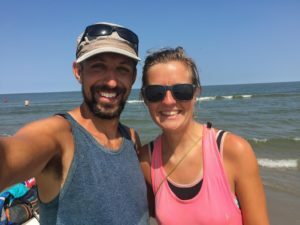 Starting in the Black Forest of Germany they traveled through 10 countries, visited 4 capital cities, and reached the shores of the Black Sea in Ukraine after 90 days and 3,000 km. They did this in support of the Water Aid which aims to improve water access and sanitation worldwide. You can learn more about their adventure at supthedanube.com. Andy Bartlett, welcome to The Pursuit Zone.